When you suffer a catastrophic injury at work, it threatens not only your health, but your entire way of life and ability to provide for yourself and your family. This is when you need to make use of every possible resource to get the care and compensation you need, and to protect your future. 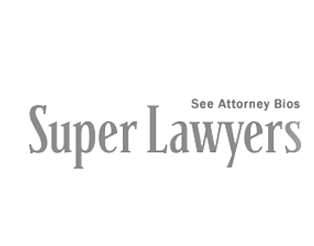 Boxer & Gerson, LLP has been representing clients in who have suffered serious work injuries since 1977. Workers’ compensation has always been a specialty of ours, and we know it not just from a legal standpoint, but from the up-close experience we have shared with clients who have suffered the misfortune of serious injury. They have informed and inspired us to enhance our expertise and hone our ability to aggressively represent them in order to maximize the benefits they receive for their future well-being. If you have suffered a severe injury on the job, we will do our best to do the same for you. Contact Boxer & Gerson, LLP for a free consultation about your workplace injury case. When a workplace injury severely diminishes your ability to work at your occupation, you may be able to claim permanent total disability workers’ compensation benefits. This can entitle you to as much as two-thirds of your weekly salary for the rest of your life (subject to statutory limitations), in addition to cost-of-living increases. Permanent disability benefits are payable in addition to any payments that you may receive for a temporary disability, and they are computed over and above the cost of medical care. There can be significant differences over what constitutes a true permanent disability compared to diminished earning capacity. At Boxer & Gerson, LLP, our attorneys are skilled at marshaling medical evidence in support of our clients’ claims. If you are permanently disabled, we will work tenaciously to win approval of your claim. If you have a workers’ compensation total disability claim, you may also be able to obtain Social Security Disability benefits as well. You may also qualify for Medicare’s medical, hospitalization and pharmacy benefits. Boxer & Gerson, LLP is highly experienced in cases involving combined workers’ compensation, total disability and Social Security Disability claims. We are able to coordinate our legal efforts under one roof to help you obtain maximum benefits from all sources, while minimizing any offsets that could limit the benefits you receive. Contact us for a free, no-obligation consultation about your injury with Boxer & Gerson, LLP, our firm.